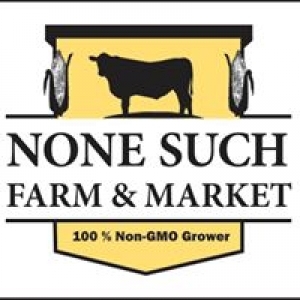 HOURS: None Such Farm Market is open: Mon. - Thu. 8am - 6:30pm Fri. - Sat. 8am - 7pm CLOSED SUN. PA just across the street from None Such Farm. The farm market has everything you need for a great meal, including fresh produce, local and our own, a full service meat shop featuring our own farm raised angus beef, a deli with our own roasted beef, turkey, pork and Boars Head meats and cheeses, dairy products, fresh breads, dry goods, bedding plants, and much more. None Such Farm Market is located on Rt. 263 (York Road), ¼ mile south of Rt. 413 in Buckingham. Our GPS address is 4458 York Road, Doylestown, PA 18902. The farm is just across the street.